At 911 Restoration Miami, our water damage Lauderdale Lakes crew has been in business for years to ensure that no one has to suffer the emotional toll of watching their home succumb to a disaster. It affects everyone young and old and strikes in the most insidious and unmanageable ways. Luckily you can call on 911 Restoration to come to the rescue. We put our customers first in everything we do and that is why we offer same day service. A leak or flood is a very serious problem and it should be dealt with by a professional equipped with the latest drying technology. Our water damage restoration and water removal services are second to none and we are a licensed, bonded, and insured company. The first thing you should do at the sign of water damage is give the water damage Lauderdale Lakes team a call and we will come to your home within 45 minutes for a free inspection. Lauderdale Lakes used to be known primarily as a retirement community, a place for the aging from the Northeast to flock to when it was close to quitting time, but you know what never quits – water damage! Thankfully our water damage Lauderdale Lakes crew will work with any insurance company to get you the help you need fast so the answer is yes, you can afford the water repair services you need. Water damage can be caused by many things according to our experts. These include pipe bursts, washer bursts, rain storms, and ruptured hoses. Bad plumbing, water line breaks, fire sprinklers, water heater leaks, and even toilet overflows. Our water extraction experts are trained to quickly locate the source of leak. After location we make the necessary repairs. This ensures that the structural integrity of your house remains intact. Give our water damage Lauderdale Lakes team with 911 Restoration Miami a call and we will make it seem as though the problem never even happened today! 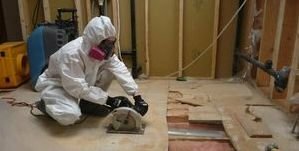 According to 911 Restoration Miami’s water damage Lauderdale Lakes, FL team there are several things you can do to prevent water damage from occurring in the future including installing a sewage back flow valve. These valves can help prevent a possible sewage back up emergency. Also it is important to check your gutters for leaks and make sure that your downspouts are directing water away from your home’s foundation. These few simple precautions can help prevent disastrous damage from affecting your home in the future. If you do find yourself in a situation where you are dealing with a water crisis, give our water damage Lauderdale Lakes team with 911 Restoration Miami a call and we will ensure that your home is given the restoration service it deserves today!